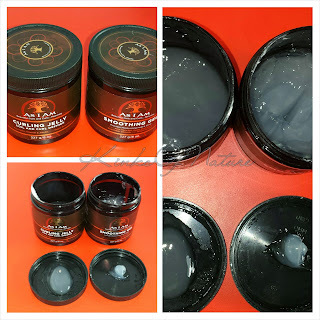 Earlier this year, I purchased one of the Caroline Hirons Cult Beauty Box. The set included a few fill size items from her favourites including the Indie Lee CoQ-10 Toner. Product Claims: This is the ultimate skin quencher for complexions that often feel tight and uncomfortably dry. It’s good for those with ageing concerns, as its star ingredient - CoQ-10 - works to boost the skin’s natural repair and defence mechanisms for a smoother complexion over time. It also contains hyaluronic acid (an impressive humectant), which works to help the skin retain much-needed moisture, while soothing aloe vera, chamomile and cucumber keep skin calm and contented. Think of this as a skin-softening precursor to your serum or moisturiser. Review: The CoQ-10 Toner is moisturising and does soften the skin, but not on the level of toner essences. It's more like a traditional toner, but minus the astringents. My bottle is nearly empty so you can't see it in the picture, but the toner is a light yellow colour. I apply this after acid toners or as my sole toner when I skip the acid step. It has a slightly tacky feel initially, but this dissipates completely once fully dry. The fragrance is very fresh and light. It's good, but not so great that I missed it when I finished my bottle. In fact, I was overly eager to finish the bottle so that I could get something new. I don't like the packaging. The top leaks and when you dispense product, it runs over the side of the cap and leaves a rim of product residue on the bottle rim. Pretty bottle, but they really need a better top. 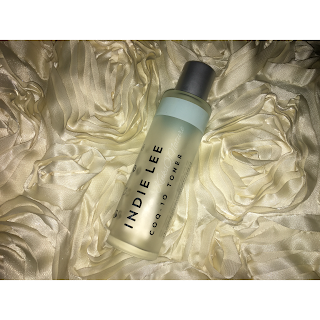 Indie Lee CoQ-10 Toner is available in a 4oz size/120ml on Cult Beauty for £30 and DermStore for $32. Would I repurchase? I prefer my moisturising toners to be a bit thicker in consistency so that I can apply layers for the 7 skin method. However, Indie Lee is more readily available and does work. So if I am unable to get a toner of preference, I would revisit this.